The simple answer is output of adhesive, more powerful the tool equals greater adhesive flow. 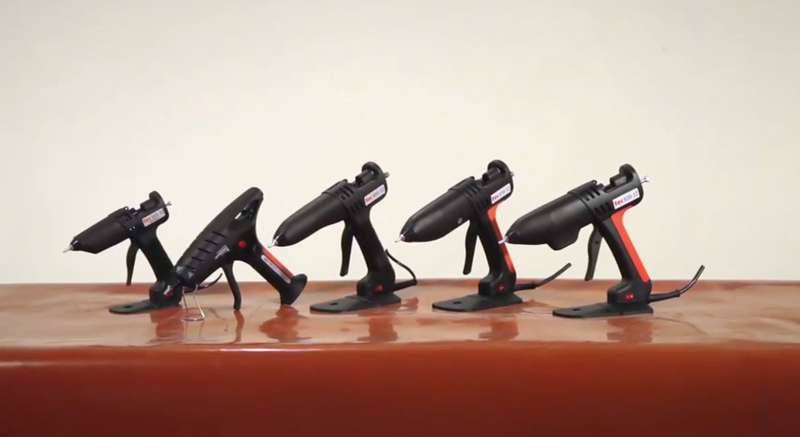 There are many other differences between the tools, for example the Tec 820 comes with the ability to change the temperature of the tool (adjustable temperature) to allow use with Low Melt adhesives to high temperature Polyamides adhesives. When using Tecbond 263 hot melt adhesive for bonding polypropylene (PP) or Corrugated Plastic Sheet, also known as polypropylene fluted board (Correx) you need to get the glue down as hot as possible, the Tec 820 is the perfect tool for this application. What can we GLUE for you ? FREE glue gun, FREE glue gun !!!! !